Exquisite Yearning! ... Exotic Living! High in a hidden mountain village of a strange land and extravagant dreams and desires become exciting realities! This explosive work about the conflict between the spirit and the flesh is the epitome of the sensuous style of filmmakers Michael Powell and Emeric Pressburger (I Know Where I’m Going!, The Red Shoes). A group of nuns - played by some of Britain’s best actresses, including Deborah Kerr (From Here to Eternity, An Affair to Remember), Flora Robson (The Rise of Catherine the Great, Wuthering Heights), and Jean Simmons (Great Expectations, Hamlet) - struggles to establish a convent in the snowcapped Himalayas; isolation, extreme weather, altitude, and culture clashes all conspire to drive the well-intentioned missionaries mad. A darkly grand film that won Oscars for its set design and for its cinematography by Jack Cardiff (The Red Shoes, The African Queen), Black Narcissus is one of the greatest achievements by two of cinema’s true visionaries. If one ever questions the value that visual expertise can add to a movie, then a viewing of 1947’s Black Narcissus should change that. On the surface, this film seems to offer little of particular interest or innovation, but the magnificent staging and photography elevate it to another level. The story concerns a group of nuns who attempt to create a school and health station in the Himalayas. They use a literal former pleasure palace for their building, but their attempts to transform this building of sensual delight into a staid, devout place doesn’t really take. Instead, the terrain seems to change the nuns, as they all begin to behave in modestly unusual ways. The main point involves hunky English handyman Mr. Dean (David Farrar). He ignites the passions of at least two nuns, though only one - Sister Ruth (Kathleen Byron) will admit it; the other - head nun Sister Clodagh (Deborah Kerr) denies any lustful interest, though she finds herself mooning over her own lost love. Narcissus covers the actions of the nuns and their charges, but it’s really the subtext that offers the most compelling part of the story. On the surface, not a lot happens in the film, at least until the psychologically charged ending. Otherwise, we just watch the day-to-day behaviors of the residents and how they react to each other. It’s what happens below the surface that makes things interesting, and that’s where the sublime visual components come into play. To call Narcissus a beautiful film would be an understatement, as cinematographer Jack Cardiff imbues the subject with a sense of grandeur that is amazing. However, Narcissus isn’t just about pretty pictures, as the color design also helps move along the plot and make important points. When one character defiantly dons lipstick, the red dominates the frame and makes the action much more shocking than it should be. Narcissus also attains a startling sense of realism despite the fact it was shot completely in England. Peter Ellenshaw’s matte paintings seem amazingly believable and they integrate well with the sets. I’d think that considering our greater acquaintance of visual techniques, we’d now see the flaws in the visuals, but I certainly can’t; I find the paintings to look terrific. Black Narcissus is something of an odd bird, and it’s a hard movie to nail in words. So much of its appeal comes from the visual realm, though I can’t say it’s all about the images. I think the movie is also well acted, from the simmering restraint of Kerr’s Sister Clodagh, to the almost-but-not-quite-psychotic tone of Byron’s Sister Ruth. Farrar provides an appealing though somewhat off-putting presence as Dean; he reminds me a lot of Ralph Fiennes, really, as he plays the same kind of compelling but distant loner often portrayed by the latter. Though all of the other elements also seem well executed, the appeal of Black Narcissus still comes down to its visual aspects. Without them, it would have been a good film, but as it stands, it seems like a much more substantial achievement. Narcissus is a photographic wonder that must be seen to be believed. 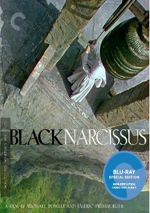 Black Narcissus appears in an aspect ratio of approximately 1.33:1 on this Blu-ray Disc. Could Narcissus possibly look better than it does here? Yes, but it’s hard to imagine that this 63-year-old film will ever surpass the visual delights on display here. At almost all times, sharpness excelled. A few very slightly soft shots emerged, but those remained minor. The vast majority of the film offered excellent clarity and delineation. No issues with jagged edges or edge haloes occurred, and only light shimmering cropped up; I noticed some moiré effects in shots of netting above beds. Despite the film’s age, source flaws played an exceedingly minor role. I noticed a few tiny specks but nothing more than that. For all intents and purposes, this was a clean presentation. Black levels came across as acceptably deep and rich, and shadow detail looked clear and appropriately thick. Colors were very good, as the movie offered some nice icy blues and rich, warm reds. Shots of various native costumes came across especially well, as they boasted some excellent tones. Some distractions came from the modest color “pulsing” that took place through parts of Narcissus. This meant that some of the movie alternated between a look that was natural to desatured. The tones were mild, but the effect appeared noticeable nonetheless. The “pulsing” looked most prominent during shots of the sisters; their white habits mostly clearly showed off the changing colors. It seemed clear that this pulsing was an artifact of the original photography and not a problem related to the transfer. The 2001 DVD release showed the same color variations; indeed, they were more apparent on that disc. I thought they stayed minor and didn’t give me a reason to subtract points from my grade. Truly, this was a remarkable presentation. Though not as good, the movie’s monaural soundtrack was more than satisfactory for its age. Speech could be thin and reedy, but that was expected and not a real problem. The lines lacked edginess and they remained very intelligible; they were about as good as one could expect given their vintage. Music and effects followed suit. The score didn’t boast terrific range, but one shouldn’t expect strong dynamics from a 63-year-old recording. The music appeared clear and acceptably concise. Effects were also reasonably accurate, and they lacked distortion or concerns. The track received a cleaning that left it essentially free from noise; don’t worry about clicks, pops or other issues, as they didn’t occur. This was a good representation of an old soundtrack. 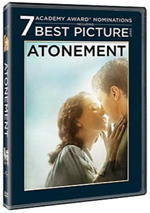 How did the picture and sound of this Blu-Ray compare with those of the Criterion DVD from 2001? Both demonstrated significant improvements. The old DVD looked decent, but it couldn’t remotely compare with the glory of this Blu-ray. It was substantially more precise, bolder and clearer than its DVD predecessor. The audio showed similar growth. I thought the DVD’s soundtrack was rough and edgy, so the Blu-ray’s mix seemed much cleaner and better defined. Across the board, the Blu-ray simply trounced the 2001 DVD in terms of film presentation. The Blu-ray shares supplements with the 2001 DVD and adds some new components. I’ll mark 2010 exclusives with special blue print. The extras start with an audio commentary from co-director Michael Powell and filmmaker Martin Scorsese. Recorded back in 1988, this track appeared on the original Criterion laserdisc release of Black Narcissus. One of their earliest commentaries, unfortunately it isn’t one of their best, as I found this track to be no more than intermittently informative. Powell and Scorsese don’t appear to have been recorded together, although the original DVD’s case called this “a conversation” with both of them, and early in his part of the commentary, Scorsese indicates that Powell will be along shortly. However, I could detect no signs of interaction between the two, and it sure sounded like they were taped separately. Whatever the case may be, the result is only moderately interesting. Scorsese provides some occasional notes of appreciation for the work in the film, and Powell tosses in a few good anecdotes and periodic comments about various aspects of the production. However, there’s just not a lot of stimulating details to be heard. Too much of the track passes without any comments, and the information provided lacked depth. It’s not a bad commentary, but compared to the many gems that have appeared under the Criterion banner, it seemed very uninspired. An Introduction to Narcissus comes from filmmaker Bertrand Tavernier. Recorded in 2006, Tavernier chats for eight minutes, 43 seconds and discusses the adaptation of the source novel, cast and crew, and various aspects of the production. It’s probably a mistake for the package to call this an “introduction” to the film, as it more accurately provides a quick overview; I think it’d be weird to view this if you’d never seen Narcissus. Terminology aside, Tavernier provides a good summary of different elements found in the film; he throws out a lot of useful info in a short period. Also found on the 2001 DVD, we get a documentary called Painting With Light. Created by Craig McCall, the 26-minute and 35-second program features some general information about BN but it mainly focuses on Jack Cardiff, the film’s cinematographer. In addition to comments from Cardiff himself, we get a mix of film clips, behind the scenes stills, and interviews with Scorsese, actress Kathleen Byron, and Powell’s widow - and noted editor - Thelma Schoonmaker. 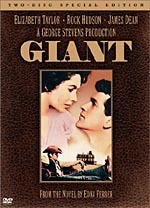 The show provides a very solid look at Cardiff’s techniques and his inspirations; as the title implies, he took his cues from artists like Van Gogh and really tried to create “paintings” on the film screen. It’s an interesting and informative examination of this legendary cinematographer’s work. The Audacious Adventurer provides more info from Tavernier. During the 17-minute, 27-second piece, the filmmaker chats about the source book and its move to the screen, cast and crew, the filmmakers’ take on the material and various visual elements, sets and locations, and the movie’s impact. As was the case with his “Introduction”, Tavernier contributes many good notes about the film. Indeed, much of what he covers in the “Introduction” also appears here, so you won’t miss much if you select this and skip the “Introduction”. Next comes a Profile of Black Narcissus. It goes for 25 minutes, 29 seconds and includes comments from Cardiff, Byron, assistant editor Noreen Ackland, film historian Ian Christie, and camera operator Christopher Challis. The show examines the partnership between Powell and Emeric Pressburger, cast and performances, the crew and visual elements, sets and locations, music, and the flick’s reception. “Profile” covers the movie in a somewhat scattershot manner, as it doesn’t provide the most concise take on the picture. Still, it includes a good array of notes and deserves a look. In addition to the film’s trailer, we locate a 24-page booklet. It features credits, publicity stills, and an essay from critic Kent Jones. The booklet gives us a typically classy piece. Does the Blu-ray lose anything from the 2001 DVD? Yup – it drops a fairly good “Photo Archive”. Note also that the two releases provide different booklets; the 2001 text offered an essay from critic Dave Kehr, not this volume’s essay from Kent Jones. Black Narcissus offers 101 minutes of some of the finest photography ever filmed. The cinematography takes a potentially ordinary tale and elevates it to the level of something special; Narcissus is the kind of film that should be required viewing for those who want to work in the field. As for the Blu-ray, it offered stunning visuals, good era-appropriate audio and a fairly useful set of supplements. Black Narcissus is a fine film that holds up very well after more than 60 years, and this Blu-ray offers its definitive presentation. 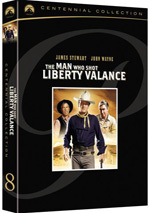 Even if you own the 2001 DVD, you need to add this Blu-ray to your collection, as it gave us a simply superb representation of the classic movie.